Investing in high-quality dividend growth stocks means you’re earning and reinvesting growing dividends. It’s receiving a dividend raise, then reinvesting a larger dividend back into a stock to buy more shares of a business that’s growing its dividend. It’s growing interest on growing interest! Actually, it’s even better than that. A dividend isn’t technically interest. 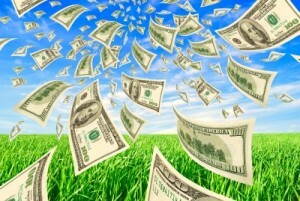 Interest is what you earn on money by lending it, but a dividend is a portion of the profit a company is producing. Interest is usually flat, but dividends often grow along with profit. 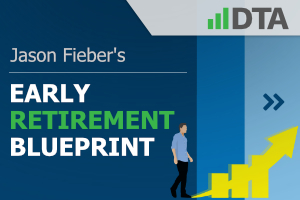 Taking advantage of this “ninth wonder of the world” is a major reason why I was able to retire in my early 30s, as I lay out in my Early Retirement Blueprint. 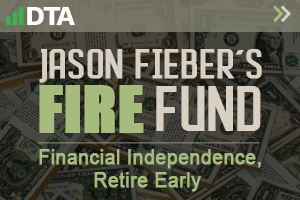 By receiving and reinvesting growing interest back into growing interest, I been able to amass my FIRE Fund – a real-money early retirement dividend growth stock portfolio. 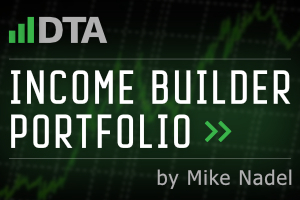 The Fund generates five-figure and growing passive dividend income. It’s enough for me to live off of and go about my life freely. And my opportunities should only grow over time, since we’re talking about growing interest on growing interest. 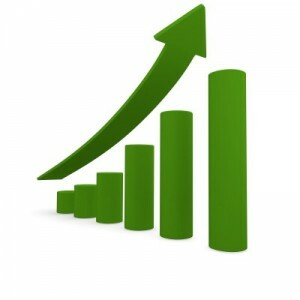 Indeed, my passive income continues to grow and compound without any input on my part. That’s because high-quality dividend growth stocks are often blue-chip stocks. These are world-class businesses that make the world go round. They provide the products/services the world needs, and this allows them to increase their profit and dividends like clockwork. The Dividend Champions, Contenders, and Challengers list is a fantastic resource for finding these stocks. It contains data on more than 800 US-listed stocks that have raised their dividends each year for at least the last five consecutive years. However, finding stocks is one thing. Finding stocks that are quality and undervalued, right now, is quite another thing. 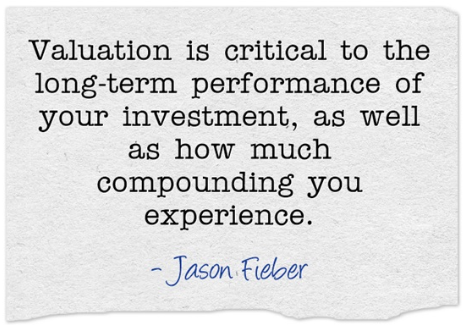 Valuation is critical to the long-term performance of your investment, as well as how much compounding you experience. 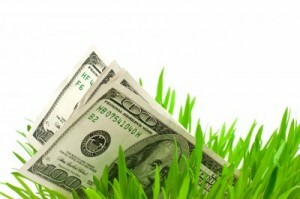 Total return is, after all, comprised of investment income and capital gain. In addition, capital gain is given a possible boost via the “upside” available between price and value when the price paid is well below estimated intrinsic value. If/when the market corrects a mispricing, capital gain upside follows. And it’s on top of whatever capital gain would naturally occur as a company becomes worth more and sees its stock price increase. Of course, this should reduce risk. It’s clearly less risky to pay less (rather than more) for the same exact asset. Paying a price below estimated intrinsic value introduces a margin of safety. This acts as a “buffer”, which protects your downside against unforeseen events that could negatively affect a company’s value. Undervaluation is extremely favorable to the long-term investor. Fortunately, it’s not difficult to spot or take advantage of. Fellow contributor Dave Van Knapp has made it even easier by producing a great valuation template that can be applied to most dividend growth stocks. That template is available as part of Lesson 11: Valuation, which is part of an overarching series of “lessons” on dividend growth investing. AT&T Inc. (T) is a diversified and vertically integrated media, entertainment, technology, and telecommunications company. Building on roots that date back to being a primary landline operator, AT&T Inc. has expanded mightily in recent years. Moving aggressively into the wireless business over a decade ago, they’re now one of the two major wireless carriers in the United States (the other being Verizon Communications Inc. (VZ)). This is essentially a domestic duopoly with high barriers to entry. Our smartphones have practically become an extra appendage. People seemingly can’t live without access to their phones. Wireless communications – from calls to texts – are ubiquitious. This has made access to wireless communications a necessary part of modern-day life. Not satisfied, though, the company has since pushed into being vertically integrated in media and entertainment. They acquired DirecTV for ~$67 billion (including assumed debt) in 2015, which gave the company access to the one of the largest paid TV providers in the world. This was followed up with the ~$85 billion Time Warner Inc. acquisition in 2018. The company now has massive scale across entertainment production and distribution. Time Warner Inc. gave AT&T Inc. ownership over numerous cable channels (including the esteemed HBO) and one of the biggest movie studios in the world (via Warner Bros. Studios). The company sees the potential in streaming; it’s aiming to roll out a new comprehensive streaming service in 2019. With its content library, access to ~170 million customers across its operations, as well as its DirecTV Now streaming platform already in place, they’re perfectly positioned here. Moreover, the wireless business, which is still a substantial part of the story here, is set to become an exciting growth story once again. That’s due to the rolling out of the 5th generation (5G) of mobile communications, which should allow the promise of the Internet of Things to finally materialize: everything from our phones, cars, houses, and even potentially our bodies could soon be communicating with each other, across networks, in the near future. This oncoming revolution makes wireless service even more ubiquitious and necessary. AT&T Inc. offers an unrivaled suite of businesses, and its unique ability to vertically integrate itself across its various platforms and bundle services together should serve it and its shareholders very well over the long run. It should also serve the growing dividend very well. The company has increased its dividend for 35 consecutive years. A fantastic track record. It’s made even more appealing when you consider the stock yields a monstrous 6.50% right now. That yield is more than three times higher than the broader market’s yield. It’s also 100 basis points higher than the stock’s own five-year average yield. If we’re talking about growing interest on growing interest, this is a stock that’s paying you a huge chunk of interest via that big dividend. A large portion of this stock’s total return is going to come in the form of those dividend payments. That’s just fine by me – I love a pile of growing cash as much as the next guy. Yield and growth are often inversely correlated, however; high-yield stocks usually sport lower growth. As such, this stock is better suited for yield-hungry investors who want big cash dividends right now. The 10-year dividend growth rate is 2.3%, so the dividend is at least keeping up with inflation here. With a payout ratio of 71.6%, we should be able to expect the dividend raises to persist – albeit at this low-single-digit rate. 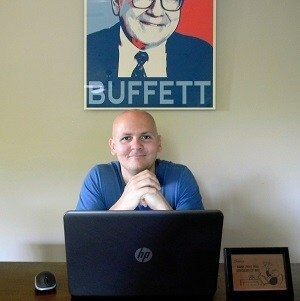 This is one of the biggest safe dividends in the entire market. Let’s now take a look at what kind of top-line and bottom-line growth AT&T Inc. has managed over the last decade. This will help us estimate what kind of dividend growth the company might be able to muster going forward, which will later help us value the business and its stock. The company increased revenue from $123.018 billion in FY 2009 to $170.756 billion in FY 2018. That’s a compound annual growth rate of 3.71%. Very solid sales growth. However, as noted earlier, the company has radically transformed itself over the last 10 years via numerous large acquisitions. This skews the top line a bit. Meanwhile, earnings per share grew from $2.05 to $2.85 over this period, which is a CAGR of 3.73%. So EPS grew right in line with revenue. Taking into consideration that AT&T Inc. diluted its shares rather significantly over this period, I’d say this is pretty good news. It’s hard to get a clear line of sight on the trend, though, only because the GAAP numbers have oscillated so much from year to year due to various charges and benefits that don’t necessarily correlate very well with long-term earnings power. I usually include a forward-looking earnings forecast from CFRA, but they don’t provide such a forecast for AT&T Inc. at this time. I’ll note that the forecast was for a three-year EPS CAGR of 8% as recently as September 2018. I believed then – which I still believe – that this was an aggressive call. Some bottom-line growth acceleration should occur as a result of the Time Warner acquisition, which has added a faster-growing business, a ton of free cash flow, and more bundling opportunities. This also allows for AT&T Inc. to quickly scale its streaming, backed by its DirecTV business. In addition, 5G is a wildcard. There’s plenty of investment/CapEx to consider, but it’s injecting growth into a mature industry. That all said, AT&T Inc. doesn’t need to grow anywhere near 8% in order to sustain its dividend, provide for modest dividend raises, pay down debt, and be a suitable long-term investment. Splitting the difference between the historical number and this forecast puts us somewhere around 6% EPS growth. That would be enough to keep pumping out the low-single-digit dividend raises and still realize/support potential across the various platforms. The balance sheet is, in my opinion, the biggest risk of all. AT&T Inc. has heavily levered up as its gone on a buying spree in recent years. Paying down debt has been noted as a priority by management, which is why I wouldn’t expect much dividend growth acceleration – even if the EPS growth could support that. The long-term debt/equity ratio is 0.90, while the interest coverage ratio is a bit over 4. Furthermore, the balance sheet has a bit over $5 billion in cash against more than $160 billion in long-term debt. The long-term debt is higher than the market caps of many global companies. It’s important to recognize, though, that AT&T Inc. has operated with a heavy debt load for many years. This is nothing new. It’s just that the balance sheet has scaled up with the rest of the business as these large acquisitions have been folded into the company. Profitability is a bit difficult to ascertain because of the aforementioned adjustments to GAAP earnings. But the numbers look solid when you start to average things out. Over the last five years, the company has averaged annual net margin of 10.28% and annual return on equity of 12.92%. This is one of the largest media, entertainment, and communications conglomerates in the entire world. Its vertical integration across its enormous telecommunication network, distribution, and content production is unmatched. The wireless business, which was what the company had been heavily relying on just five years ago, is mature. I think AT&T Inc. was right to consider its long-term prospects and diversify itself across the spectrum of media. This company now provides products and services across ubiquitious platforms. With the oncoming 5G revolution, access to wireless will be more ubiquitious and necessary than ever before. The company has positioned itself as a quasi-utility in this respect. The cost of this transformation was heavy, however. And their indebtedness is substantial. Any rise in rates could harm the company from the standpoint of making that debt load more expensive over the long run, all while making the stock a bit less attractive in terms of income. They operate in very competitive markets, and their foray into content production only opened themselves up to more competition. Regulation is also omnipresent across the industries in which they compete. Overall, the company’s future looks at least as bright as its recent past. Perhaps brighter. This company has never been so robust. And this is about as high as the yield has been in years. The stock is trading hands for a P/E ratio of 11.01. While a lower P/E ratio than the market is warranted, this is less than half of where the market is. It’s also well below the stock’s own five-year average P/E ratio of 17.4 (although that is skewed somewhat by intermittent adjustments). Taking GAAP out of the equation, the P/CF ratio of 4.8 is markedly below the 5.8 P/CF ratio the stock has averaged over the last three years. This lower multiple is on more robust FCF, which is nonsensical. And the yield, as discussed earlier, is 100 basis points higher than the stock’s own recent historical average. So the stock does look cheap. But how cheap might it be? 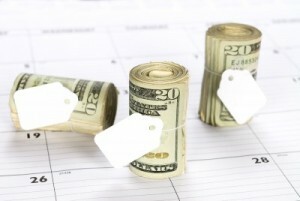 What would a reasonable estimate of intrinsic value look like? I factored in an 8% discount rate (due to the high yield) and a long-term dividend growth rate of 2.5%. That long-term DGR is right in line with what’s already transpired over the last decade. I’m essentially not forecasting in any kind of acceleration (or deceleration) here, even though there is a good possibility of earnings growth acceleration. With the payout ratio and debt both elevated, I don’t see the company producing dividend growth in excess of this forecast. The company will likely use excess profit growth to pay down debt. The DDM analysis gives me a fair value of $38.02. I don’t see this as an aggressive analysis or valuation, yet the stock still looks very cheap. I’m basically assuming a status quo, balancing the business transformation and 5G revolution against the debt load. Morningstar rates T as a 4-star stock, with a fair value estimate of $37.00. CFRA rates T as a 4-star “BUY”, with a 12-month target price of $35.00. A rough consensus here. Averaging the three numbers out gives us a final valuation of $36.67, which would indicate the stock is potentially 17% undervalued right now. Bottom line: AT&T Inc. (T) is a communications and media juggernaut like the world has never seen. Vertical integration, the 5G revolution, and new bundling and streaming opportunities after bringing transformative acquisitions online could make this business more appealing than ever before. A massive yield of over 6%, more than 30 consecutive years of dividend increases, and the potential that shares are 17% undervalued should make this a top idea for dividend growth investors who are seeking current income. Note from DTA: How safe is T’s dividend? We ran the stock through Simply Safe Dividends, and as we go to press, its Dividend Safety Score is 55. Dividend Safety Scores range from 0 to 100. A score of 50 is average, 75 or higher is excellent, and 25 or lower is weak. With this in mind, T’s dividend appears borderline safe with a low risk of being cut. Learn more about Dividend Safety Scores here.